Major League Baseball has come down with a set of suspensions for the incident between the Cincinnati Reds and Pittsburgh Pirates on Sunday. Two players will be suspended – Yasiel Puig gets 2 games, and Chris Archer gets 5 games. Manager David Bell is also facing a 1-game suspension. Both Yasiel Puig and David Bell will begin to serve their suspensions tonight. Brace yourself because I am about to go on a rant here. This is outright ridiculous. Chris Archer threw a baseball at someone on purpose out of anger. He is basically being fined a game check for 5 days, because the Pirates are just going to shuffle their rotation and he’ll start on the 6th day instead of the 5th day. He’s literally not going to miss a single game that he was scheduled to make. One of those games, however, will be pushed back a day. Just like it would be if he had some bad street tacos the night before a start. But, the manager who yelled at the umpire over the fact that Chris Archer threw a baseball at someone on purpose? Yeah, he’s actually going to miss a game. And Yasiel Puig, who also didn’t throw a baseball at someone on purpose, he’s going to actually miss two games. Chris Archer won’t miss any actual games. The Pittsburgh Pirates as a team aren’t facing any real repercussions for his “suspension”. The Cincinnati Reds, however, who threw zero punches, had their player thrown at, and a manger who yelled because their player was thrown at, actually do face real repercussions over the incident. And it’s absolutely bat-crap kind of crazy that this is how it’s playing out. Major League Baseball is basically saying that it’s perfectly fine for pitchers to continue to throw at hitters on purpose. But that they aren’t exactly ok with a manager yelling at an umpire when it happens, or a player coming out of the dugout ready to fight an entire city over it, but not actually doing so. And no mention of the pine tar. I don’t have a huge problem with Puig’s suspension. Both he and bell were quite animated and perhaps used some harsh language which pushed the league over the top. I agree wholeheartedly that the archer should have been suspended long enough to force him to miss at least one start. Clint should also get one too based on his past history of escalating these situations. Amir Garrett threw more punches than Puig and actually went in a second time. Don’t think he should have been suspended but he did more than Puig. Bull, Puig took on the whole pirates team as they hid behind 55 year old Tom Prince! Puig looked like a pulling guard out there. Lombardi would have been proud of him! “Perhaps used some harsh language.” Objection, supposition! I could see Bell getting ejected from the game, but a suspension makes absolutely no sense in his case. Yeah the suspension (and fine) of Bell is absolute nonsense. I have to agree with you, Doug. If the pitcher doesn’t like someone hitting homeruns off of him, he should learn to throw better pitches, not throw the ball at the batter. Hitters don’t throw their bats at a pitcher when they strike out. Bell – I can’t agree with you more. This is just dumb. Archer – I mostly agree. I think 7 or 8 games would have been proper, so he actually missed a start, or at least caused the Pirates a little hardship. I’m not even sure I would call this a slap on the wrist. Puig – I disagree with this one. He needs to take this suspension and be glad it wasn’t more. His conduct on the field was embarrassing. He was out of control. He wasn’t standing up for his team at the end; he was standing up for Puig. I would never want you as my team mate wkuchad, you probably have never played baseball in any sort of competitive fashion before. I wish Puig would have cleaned Archers clock. Clearly you didn’t watch the game or see Puig’s explanation afterwards. At no time was he going after Archer. I’m curious about the pine tar. Clearly Welsh noticed this in-game, and this had to have gotten back to the Reds. Was it the Reds responsibility to ask the umpire to check Archer’s shirt? Can MLB even investigate this after the fact? No one in baseball cares that pitchers use pine tar. The main villain in this drama is Pirates manager Clint Hurdle. The Pirates have risked injuries (check with Brandon Phillips) with their reckless “throwing inside” emphasis for many years. They do it more than any other team. And Hurdle skates free. If MLB was serious about ending intentional beanballs, they have to punish the managers as well as the pitchers. Even though the situation likely wouldn’t have escalated if the umps had tossed Archer immediately, given the way it played out, I don’t have a problem with the punishment for Bell and Puig. But MLB is gutless when it comes to addressing the real culprits in beanballs. But MLB is gutless. You could stop after those four words. Being “gutless” seems to point at Joe Torre? Is he not the Pooh-Bah of player safety or some such title? I agree with you on Hurdle being the villain here. Seems like everytime these teams face each other someone is getting hit. This has been going on for like 4 or five years. Longer than that. Hurdle believes it works. Some years ago, the Pirates started it, the year that Brandon probably got a hairline fracture in his left arm (2013, I think). Finally, after more Pirates got hit or thrown at in retaliation, McCutcheon actually went to Hurdle and asked him to stop the bean ball war with the Reds because he was afraid he would get hit next. Yeah, throwing at a player is bad enough. Throwing BEHIND a player is dirty, because when the ball is coming at you, your first instinct is to back up….right into the thrown ball. JIm Bouton actually talked about that move specifically in “Ball Four”. There were guys that used to throw inside (at ) players, but throwing behind a player used to be an automatic ejection. MLB gets the behavior that it rewards. Maybe they see the faux fisticuffs as entertainment and consider any broken bones from errant pitches as part of the game? Steve is right about Hurdle. This has been his MO for years. Bell should have headed straight to the Pirates dugout and directed his comments there. This is a workplace safety issue that should be addressed in the next CBA. One would think that the Player’s Union would be interested. I think Barnhardt should be fined for his poor form in his attempt to tackle Puig. Joey should get a bonus for having the best soothing hug. I think Puig should get a little more and Bell none. I agree with Doug one hundred percent. I think the idea that its okay to throw at a batter for really any reason is ridiculous. I would rather just see a pitcher charge the plate and try to fight someone atleast that way they both can fight and defend themselves. Throwing a baseball at someone 90+ mph if it hits you in the wrong spot could kill you. I think baseball is dumb as hell for not suspending pitchers like 15 plus games to actually make it hurt. I guess the lesson here is that the Reds pitchers should throw at Archer every time he steps to the plate, wait for the Pirates to get mad, then sit back and watch the Pirate suspensions pile up. Casalli should have also been suspended. He TOLD Deitrich they were throwing at him. If Archer should be suspended for the throw, the catcher who hung the sign should as well. Video shows Puig and kemp on the top step waiting for Archer to retaliate. I’ve heard that Deitrich and Archer have a history. They played each other every year in their Marlins/Rays days. I am sure Archer will come to the plate against the Reds at some point this season. Might be a good time for Puig to make his pitching debut. These punishments are ridiculous. And it’s even worse than you suggested, since Bell and Puig already missed the majority of a game, while Archer didn’t even suffer that fate. So Bell got basically a 2 game suspension, and Puig 3. Agree completely. Archer should get 8 games and Clint Hurdle at least one. Not going to see the Reds in Pittsburgh any time soon. What Madson did to Votto was worse than any of this from Sunday. In retaliation for a rookie’s hitting Bryce Harper with a SLIDER in the knee, Madson purposely hit Votto with a 96 mph fastball in the knee. Madson was not suspended. I don’t have Doug’s compunctions about swift justice. As Michael Corleone said, “It can’t wait.” The Reds owe Madson one, and it can’t wait. I wanted some Red to step up and drill Harper or some other Nat for doing that to Votto. I called for it multiple times when playing the Nats. You can’t allow your guys to be hit like that without standing up for yourselves and retaliating. But a gutless dugout never called for it. Hurdle has it in for the Reds for some reason, but for the “fight” itself? Nothing to see here really. Didn’t Archer throw low and behind Dietrich? He wasn’t headhunting like Pedro Martinez. MLB puts Pedro Martinez on their network while the NFL players voted Rodney Harrison their dirtiest player every year and he’s on NBC. Hypocrisy knows no bounds it seems? Dietrich does come with another year of team control. He’ll be a Reds player in 2020 if they want him. Hurdle’s dislike of the Reds goes back to the 1970s when he was a Red. A total flop as a Red. Much to do over nothing really. It was a fake brawl. Nothing happened. Let the players get it on, Nolan Ryan and Robin Ventura style. Fine the hell out of players that leave the bench area, especially the bullpen area. Let the players on the field settle it. The full speed assault on the mound from both benches emptying is where players get hurt. Eliminate that. Pitchers are going to be less apt to throw at a batter, if you give the batter a means to respond immediately (See Nolan Ryan vs. Robin Ventura). And a batter is going to be less apt to charge the mound if he knows most of his teammates will have to stay in the dugout or be fined heavily. team games. 9 would be preferred as the whole rotation would have to pitch twice before they get a turn again. It should have an adverse effect on the roster the same a position play receiving a suspension gets. I have a feeling there are going to be a lot of inside fastballs between these two clubs in the future. Either the suspension to Puig should have been shorter, or the Archers longer. This was an absolute failure on MLB. I’m Meh on coaches suspension, and because the action is coming for Bells direct action (stepping on field of play) as opposed to ordering someone to do something. Suddenly the next PIT/CIN game gets national coverage. 3. If the batter has to go on the disabled list ( sorry, not politically correct here): the fines would be $20,000 PLUS the prorated salary of the injured player, paid to the injured player. The suspension would be the days the injured player is out PLUS 20 days. To be served immediately. Nothing would be open for appeal. Jim, I believe that would get their attention. First, Tuck could play LB for Bengals. Second, it is not over. Archer has to come to the plate before the season is over. I just hate to sacrifice a pitcher to suspension because he feels an obligation to his teammates. If the Reds retaliate, they are doing the same thing Bell is complaining about. It will be interesting to see how it plays out. 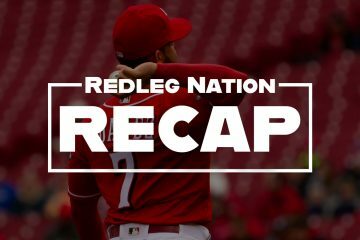 Question about suspensions and rosters…With Puig being suspended 2 games, does this mean the Reds effectively have a 24 man roster? Or are the Reds able to fill that spot with out using a player’s option? Still learning how all these intricate roster moves work. Thanks in advance! They have to play with a 24-man roster. Really? So if 5 players are suspended, the team has no position player replacements or possibly no shortstops or catchers? In scenarios like that baseball will allow a set number of players “wait” to serve their suspension so a team isn’t playing THAT short handed. But yes. Geesh, that makes the lack of suspension time for starting pitchers even more egregious. In this case, the Pirates receive no penalty at all while the Reds are playing short-handed for 2 games. In effect, the commissioner is mandating competitive imbalance. That just strengthens the argument for being the first pitcher to throw at the batter. First, the option is used the first time a player is optioned off the 25-man roster, not when he is added to the 25-man roster. 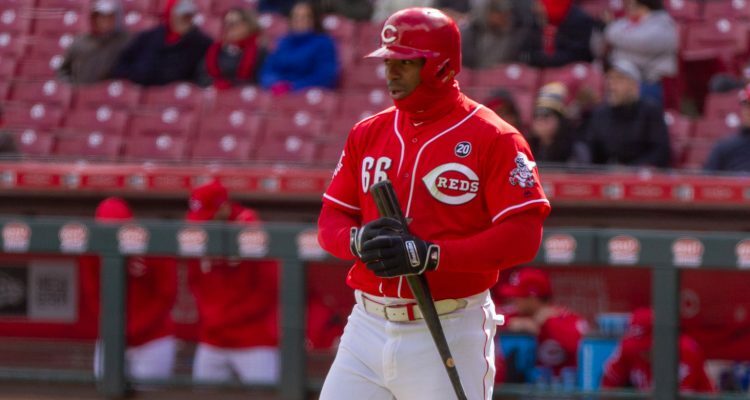 For instance, the Reds can recall Ervin from AAA and add him to the 25-man roster without exercising an option, since his option was already utilized this season when Ervin was assigned to AAA at the beginning of the season. An option is good for the entire season, so Ervin can be optioned back to AAA after Puig returns from suspension without exercising another option. The Reds do not have to play short-handed. They can recall a player from the minors or activate a player from the IL to replace the suspended player. Hunter Greene had his Tommy John surgery today. If you tweet, send him our well wishes. What did Puig do to get suspended? He did throw a punch. He was intimidating and (probably) ran his mouth. The ejection covered any grievances he or Bell accrued. If Archer is to be suspended, it need to ensure he misses one start and that it affects the Pirates roster. So maybe 9 days. Anything less is pointless. Puig was suspended because he scared Trevor Williams who was running his mouth while hiding behind Tom Prince. Joe Torre was a former player and anybody could see that Archer threw at Dietrich.Its a no brainer for a brainless ump to toss him right there and then but he warned both benches instead.The union and the league need to get together and decide once they review the tape what the correct action should be.The ump took the high road by doing what he did but gee he was there and he didn’t see what actually happened.Surely he must have thought after the homer and after seeing what Dietrich did and what Archer did that there could be I don’t know some more things yet to happen.Archer should have been tossed and suspended for more then 5 days and get Hurdle as well because his hands were all over it although Archer would have done it anyway.Pitchers and managers will continue to head hunt unless the fines and supensions are more severe.Yeah I know there is a union involved and players lose money but careers could be lost if a player gets hit in the head. Salient points: 1.) “Brainless ump; 2.) Hurdle’s “fingerprints” were all over this.